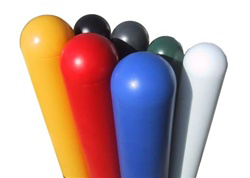 Bollard Sleeve Covers offers the great advantages of the original Dome Top 1/4" wall Bumper Post Sleeve! Eliminates the need for costly scraping and painting of guard posts! 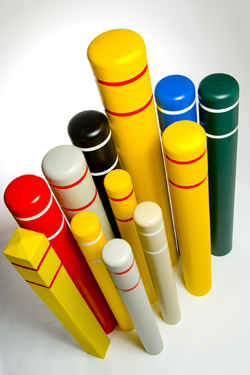 Available in sizes to fit from 3" bollard posts to 12"
Manufactured using a 1/8" thick High Density Polyethylene (HDPE) with stronger intermolecular forces, tensile strength and solvent resistance. Contains ultraviolet and antistatic additives that withstand extreme temperatures and resist fading. BollardSleeve.com® Economy Bollard Cover offers the same great advantages as the Original Bumper Post Sleeve with a 1/8" wall! Eliminates the need for costly scraping and painting of guard posts! BollardSleeve.com® Square Bollard Cover offers the same great advantages as the Original Bumper Post Sleeve! Eliminates the need for costly scraping and painting of guard posts! Info on its way - we are updating our new site daily! Plug-n-Light's One Step Light Source allows campers to gain the ability to activate external running lights without hooking upto a vechicle or generator. There's no other product of its kind on the market! U-channel Cover quickly snaps over existing posts and locks with unique patented locking method to create maintenance free u-channels. 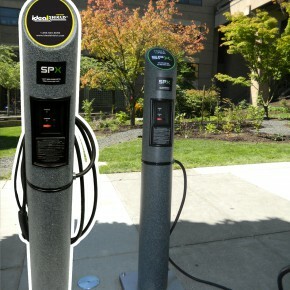 With a white reflective strip included providing added visibility for parking lots and street application, our U Channel system is available in a variety of colors and custom cut heights to suit the needs of any facility. Elegant products at a reasonable price, Ideal Shield maintenance free, decorative bollard covers are a great alternative to more expensive cast iron, aluminum, and heavy concrete bollard options while maintaining the same level of durability and high quality appearance. 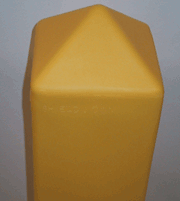 Never paint or maintain your bollard covers again, and You Can Trust We WON'T Rust! Lightweight for reduced shipping costs, BollardSleeve.com by CA Kress Products decorative bollard covers are available in customizable colors and styles to fit your design needs. You won’t find such an elegant product at such a reasonable price anywhere else on the market! Bollard Sleeve for 6" pipe 52" high - One of our Best Sellers!